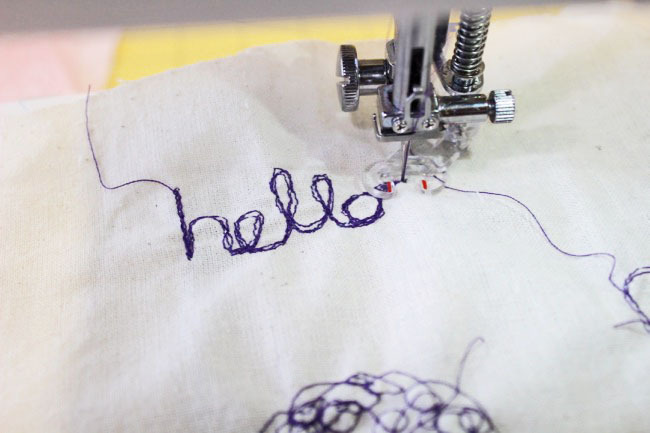 Have you ever tried freestyle - or free motion - machine embroidery? 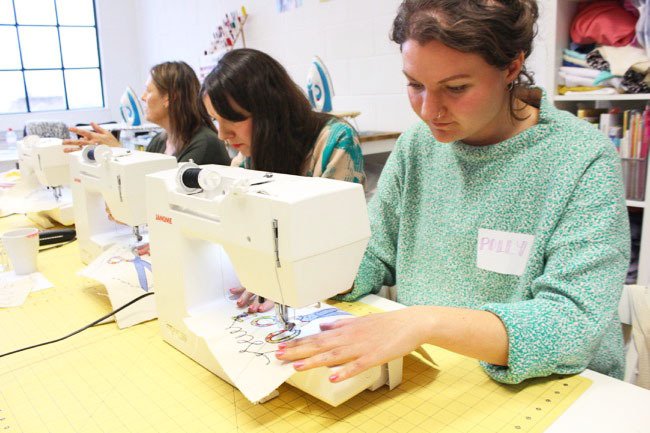 I gave it a whirl last weekend at a workshop in our studio - it's SO much fun! 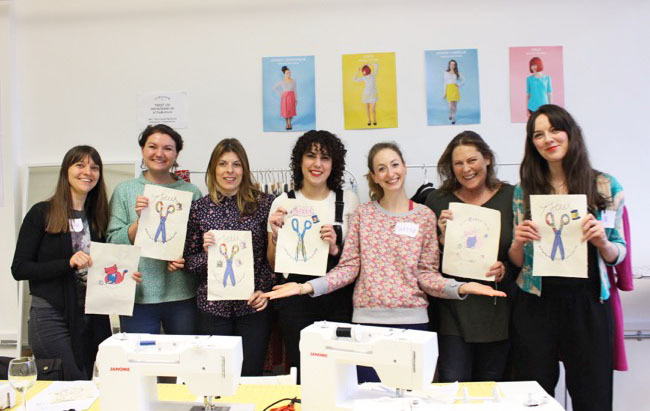 The class is taught by the super talented Sophia Palmer from homewares company Jessali Handmade. 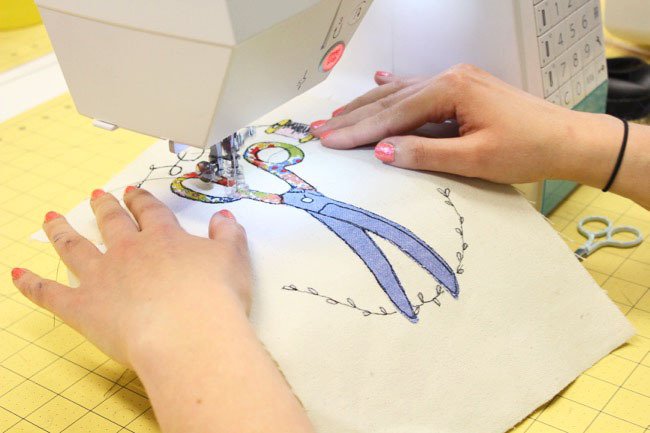 She showed us how to use the sewing machine to draw and write in thread. 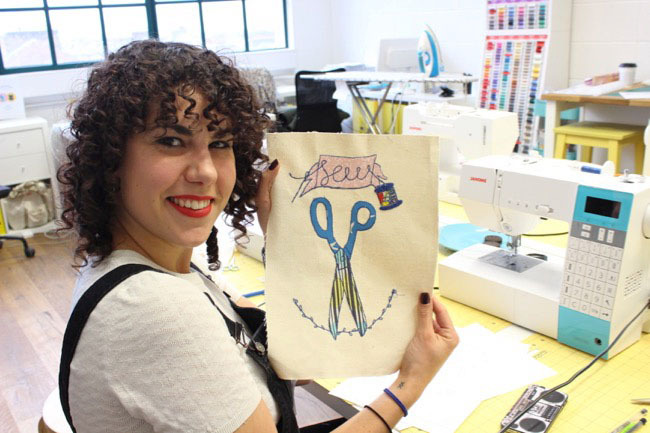 We started by freestyling words and pictures, and later mixed in appliqué to create textile artworks. (I use the word "artworks" loosely, hehe!) 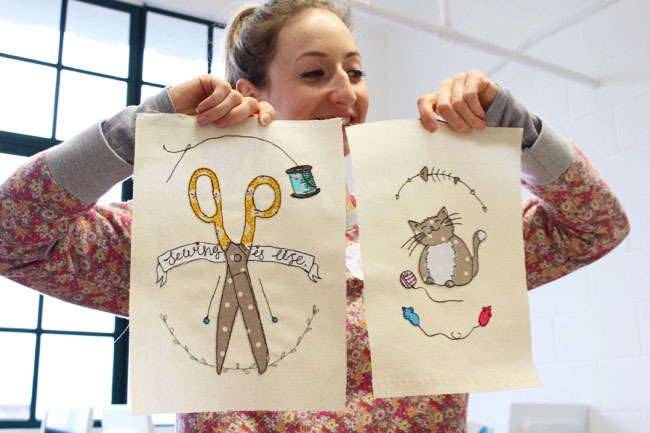 You can sew any image of your choice in the workshop - we all went with the scissors and kitty designs that Sophia brought along for us. It's also a weird feeling not to unpick any "messy" stitches. Sophia kept having to reassure us that it's okay to go off the lines, that it's a "fabric expression" and doesn't have to look totally neat. 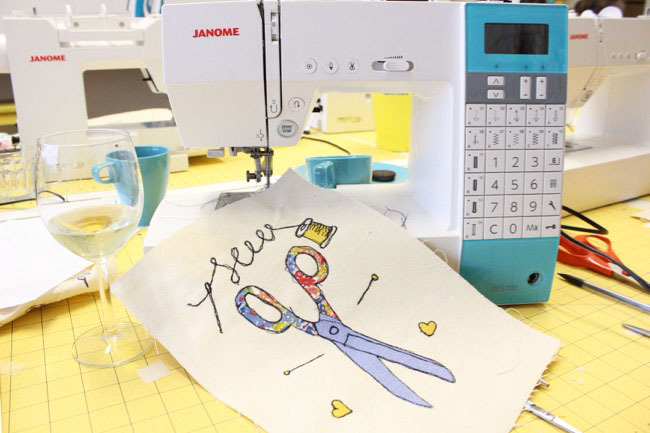 Bizarrely, the faster you sew, the less likely you are to go off the lines, as a slower speed creates longer, more jagged stitches. 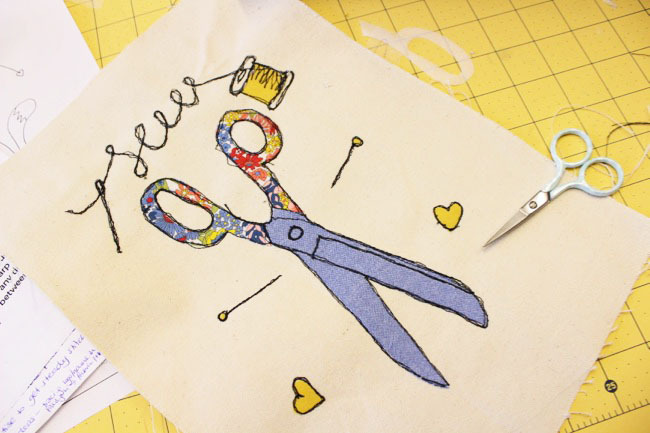 You could use free motion embroidery to create decorations for your wall, cushion covers, bags, cards - as well as to embellish a piece of clothing. I'd love to try out this technique on a skirt, or maybe a shirt yoke or collar. My brain is bursting with ideas! We all had such a great time and felt pretty proud of ourselves at the end! Sophia was a fantastic teacher - inspiring, encouraging, patient, fun, and ready to share tons of tips and tricks in a short space of time. Exactly what we look for in a teacher at Tilly and the Buttons workshops. So good that, as soon as it was over, I booked Sophia for four more workshops. If you can get to London and fancy giving it a go, come along! 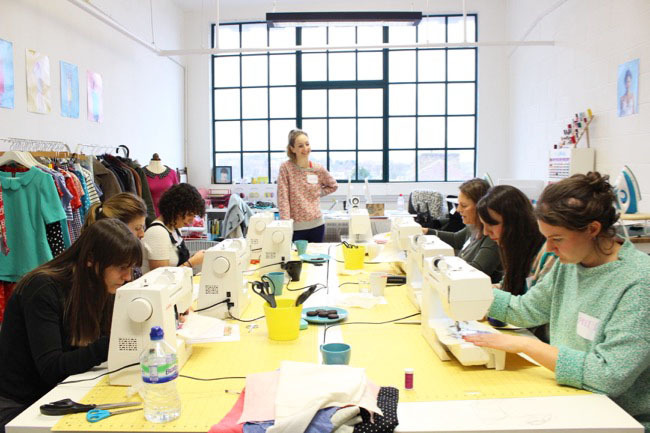 The workshops do sell out pretty quickly, so book quickly if you definitely want to do it. Hope to see you there!